If you’re looking for someone to monitor you fitness goals, stop looking for a person and just download the Healthifyme app right away! So much cheaper than a personal trainer! 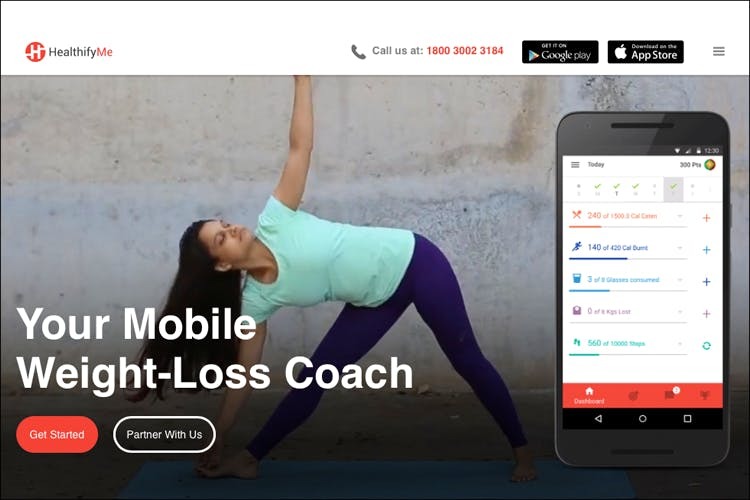 An app that keeps track of you fitness, activities and health, this one’s apparently make by experts including doctors, nutritionists and trainers. So from counting calories and activity to setting achievable healthy goals and even weight loss targets if you need, this app will sort you out. Anyone who’s looking for a way to track their own health, fitness and activities. It’s a great way to get fit. Who knew just keeping a record of what you eat and do would make such a difference. It is an amazing online facility to track what you eat all day and it really helps you lose weight! You get to know what to eat, and what not to. It feels like you are really controlling your body. It has been an amazing experience and I’ve been able to track my diet and weight side by side.